When the renowned poet Fiona Skinner is asked about the inspiration behind her iconic work, The Love Poem, she tells her audience a story about her family and a betrayal that reverberates through time. It begins in a big yellow house with a funeral, an iron poker, and a brief variation forever known as the Pause: a free and feral summer in a middle-class Connecticut town. Caught between the predictable life they once led and an uncertain future that stretches before them, the Skinner siblings—fierce Renee, sensitive Caroline, golden boy Joe and watchful Fiona—emerge from the Pause staunchly loyal and deeply connected. Two decades later, the siblings find themselves once again confronted with a family crisis that tests the strength of these bonds and forces them to question the life choices they’ve made and ask what, exactly, they will do for love. 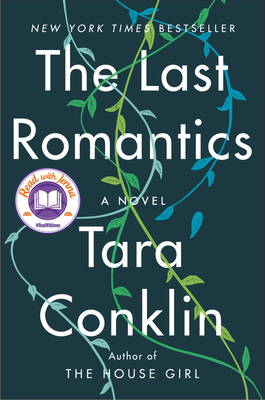 A sweeping yet intimate epic about one American family, The Last Romantics is an unforgettable exploration of the ties that bind us together, the responsibilities we embrace and the duties we resent, and how we can lose—and sometimes rescue—the ones we love. A novel that pierces the heart and lingers in the mind, it is also a beautiful meditation on the power of stories—how they navigate us through difficult times, help us understand the past, and point the way toward our future. Tara Conklin is the author of the New York Times bestseller The House Girl. Trained as a lawyer, she worked for an international human rights organization and as a litigator at a corporate law firm in London and New York. Her short fiction has appeared in the Bristol Prize Anthology, Pangea: An Anthology of Stories from Around the Globe, and This Is the Place: Women Writing About Home. She holds a BA in history from Yale University, a JD from New York University School of Law, and a Master of Arts in Law and Diplomacy from the Fletcher School (Tufts University). She lives in Seattle, Washington, with her family.